The weather in London was not too terrible. It rained pretty hard after our fish and chips dinner, but it only lightly rained about 2 days out of our trip. For breakfast, the hotel had bread, pastries, sausage, baked beans, eggs, fruit, cereal, tea, juice and coffee. I learned that the British put baked beans on their toast, which I thought was rather strange. I ate the baked beans plain like a dumb American because I didn’t want the toast. I also ate a banana, Special K cereal, sausage, and I drank black breakfast tea. I also thought the consistency of the sausages were a little strange–almost like flour was added. The third day, or our first full day in London, consisted of a bus tour around the city of the major sites like Trafalgar Square, St. Paul’s Cathedral, Harrods, West London, Parliament, Westminster and Buckingham Palace. I also took some necessary photos of me in a red phone booth. Next, we caught the tail end of the changing of the guard at Buckingham Palace. One of my favorite parts of the day was traveling to Windsor. Our tour guide on the bus gave us a lot of history on England, which was nice, since I’m not a history buff. The town of Windsor was very cute with all of the shops. It was at Windsor where I tried my first tea with milk. I surprisingly really liked it! I bought so much tea while in London, and I have found myself adding milk every time I’ve drank black tea back home. Once you try it you just can’t stop. I also noticed that all of the cafes pretty much have the same menus. I cannot ell you how many sandwiches I ate during my trip, the “toasties” that you grab from the display fridge and take to the counter to get it heated in a panini press. 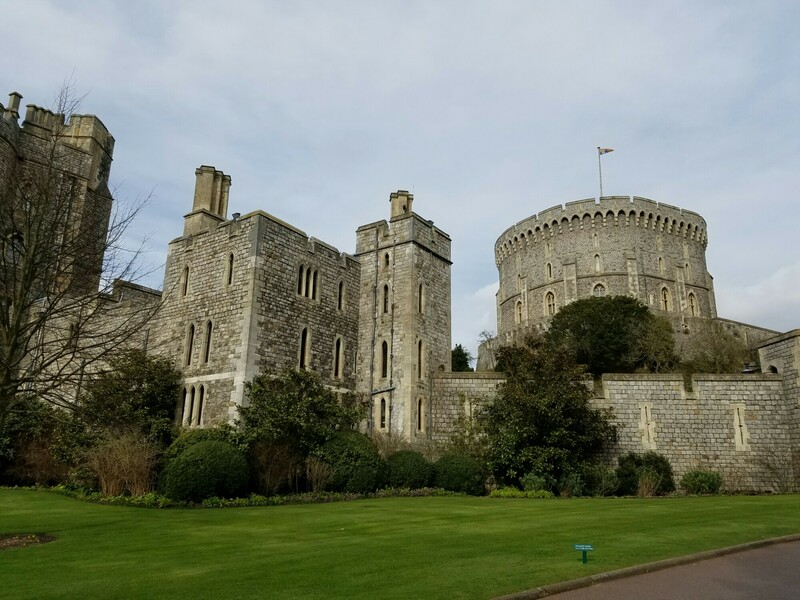 I then got to tour Windsor Castle, the castle in which the Queen lives! The apartments we toured were huge. They were incredibly ornate and beautiful; I don’t know how someone could comfortably live there. It looked like how you would imagine a royal palace. The gift shop there was really fun. There were stuffed animal corgis wearing crowns. I almost bought one for my dog-loving roommate, but I didn’t think it was worth thirty pounds. But I did buy a Christmas ornament in the shape of a crown! I then walked through St. George’s Chapel. I loved touring the religious sites; I love the feeling you get there. Being able to pray in a church that is so old and has a lot of history was spectacular (even though the church isn’t Catholic anymore). I saw where King Henry IIX was buried with his favorite wife (that was a fun story to hear). We travelled to Piccadilly Circus for dinner. I still don’t know why it’s called a circus. 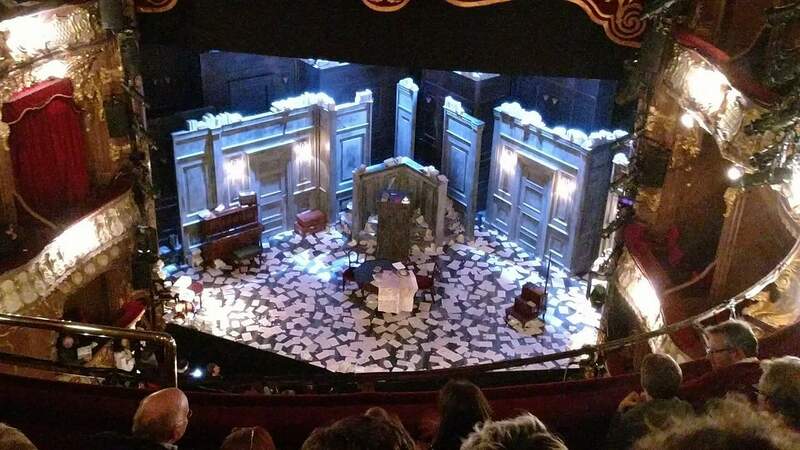 We then saw the play Travesties. I was a little lost in the beginning, but the play really made you think. Set in the WWI era, it made connections between The Importance of Being Earnest, Lenin’s idealism, the Dada art movement and James Joyce. They used social classes to compare these themes. I would recommend seeing the play only if you read The Importance of Being Earnest. That night we wandered the streets of Shoreditch to try to find a pub. I ended up coming across a convenience store and bought paprika flavored Pringle’s chips. I thought it was really interesting that I keeped seeing paprika flavored chips! I wonder if that was a British thing or just a new worldwide flavor that i haven’t yet seen in America. Paprika is one of my favorite spices (I must be Hungarian because I add it to nearly everything). In London, there were some other interesting and delicious potato chips flavors (I’m sorry, I mean “crisps”) including salt & balsamic vinegar as well as cheddar & red onion. It was a very fun, tiring and full day!